The art of illustration has conquered many forms of stigma on the bumpy road to legitimacy. It was once faulted as "too commercial" but with the passage of time, the malodor of capitalism has largely dissipated. 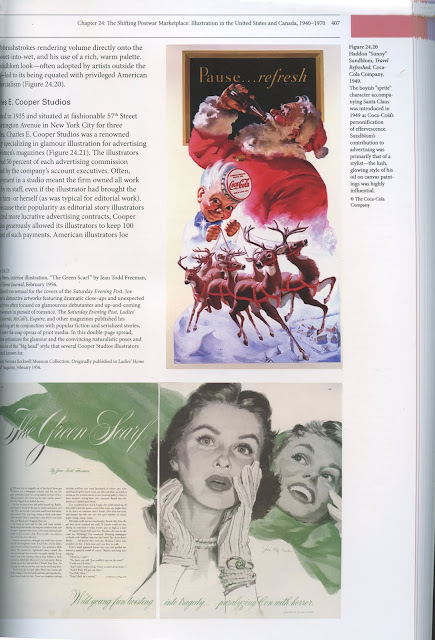 Most of the products and corporations that sponsored the great illustrations no longer exist, while "fine" art has revealed itself as so ruthlessly commercial, honest illustration could scarcely keep up. Illustration was also neglected as "economically insignificant." But as the Wall Street Journal noted last year, Norman Rockwell "now leads the charge in American art... Rockwell's top price at auction now exceeds top prices paid for works by Edward Hopper, Georgia O'Keefe and Andrew Wyeth." Critics once dismissed illustration as "too accessible." But as the schism between fine art and the popular arts widened, fine art-- untethered from the role of communication with a demotic audience-- often became inaccessible to the point of incoherence. Its shrinking relevance, and the questionable reasons for that relevance, have caused some to reconsider whether accessibility is the crime it was once believed to be. In this shifting landscape, I've sometimes felt that the only barrier remaining between illustration and cultural legitimacy was the absence of a serious scholarly treatment that would pass muster in any university around the world. 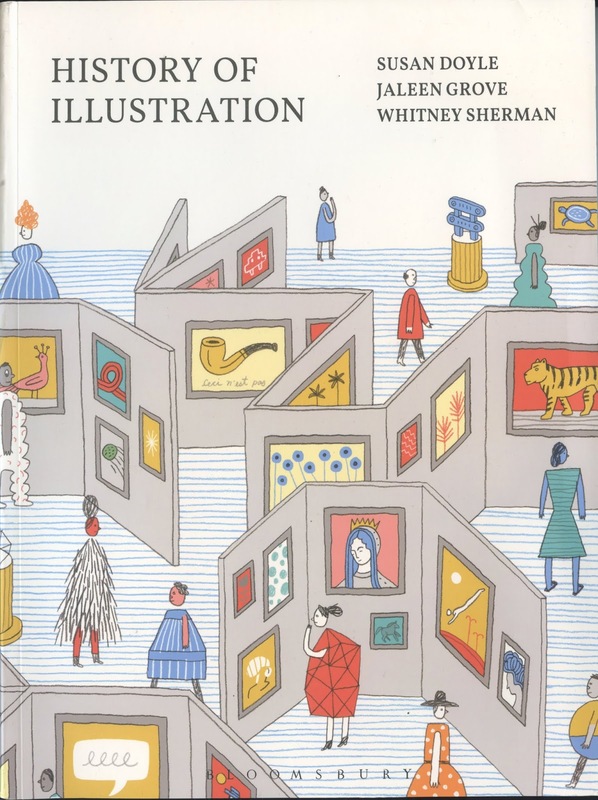 That's why I'm pleased that three smart and accomplished (not to mention indefatigable) editors, Susan Doyle, Jaleen Grove and Whitney Sherman have applied themselves to creating the definitive text book on the history of illustration: a serious, peer-reviewed baseline for education of audiences worldwide. ...but at least 73 pounds of its ponderous weight are attributable to scholarly essays on a cross section of important issues from the history of illustration. The editors have enlisted a veritable who's who from the illustration field-- authors such as Alice Carter, D.B. Dowd, Kev Ferrara (a name familiar to the readers of this blog), Mary Holahan, Stephanie Plunkett, Roger Reed and many, many others. The editors themselves have contributed several of the essays. The book contains an ambitious 14 page glossary and an equally ambitious timeline of the history of illustration-- both of which are extremely handy, and both of which bring to mind Hercules restoring order to the Augean stables. One of my favorite kinds of books are those that alert me to my own ignorance. The international sections (on illustrative traditions from around the world) and some of the historical treatments in particular alerted me to gaps in my knowledge that I didn't know existed. Of course I found things to disagree with in this book, but there were many revelatory passages. 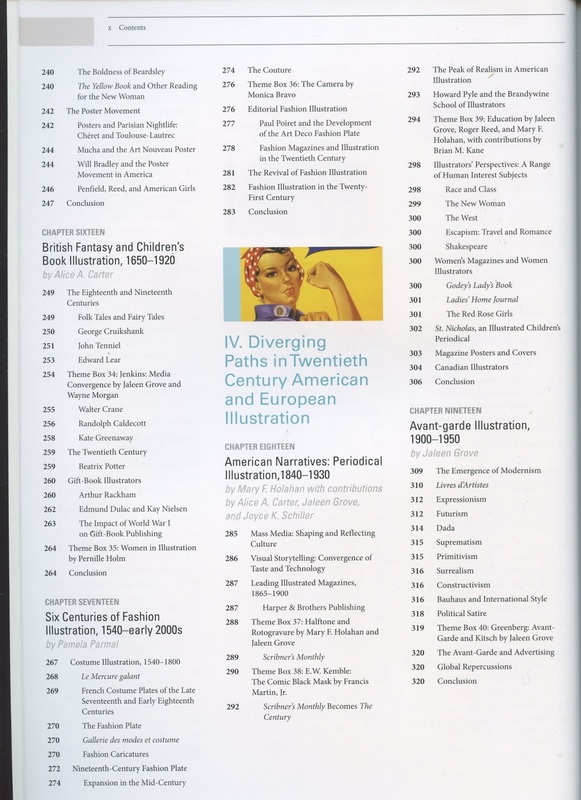 History of Illustration is proving to be an excellent resource and I am grateful to the editors for the service they have performed for the field. Thanks for posting this David. Congratulations to Kev! What was the subject of your essay? My contributions were very minor, Tom. I was a third tier player at best. Due credit goes to Susan, Jaleen, and Whitney. And then D.B. Dowd, Alice Carter, Mary Holahan, and a whole bunch of others before you should bother mentioning my contributions. We did our best to credit everyone who had a helping hand. Kev provided valuable input at the initial meeting where we laid out the rudimentary table of contents and topics, and he is also credited for peer reviewing my theme box on cultural appropriation, where I adopted some of his wording. I will also say Kev's commentaries over the years here and on other socials has kept me in touch with the wide rage of views out there in illustration-land, something I wanted to respect. David, thank you for this writeup. Please don't hold back on the things the disagree with and the things you especially liked, in specifics. I'd be pleased to give the behind-the-scenes on why certain decisions were made, and I also want to catch mistakes and problems, since this book is supposed to educate, not obfuscate. Academically, do you see this fitting into a broader Art History, or do you see Illustration History as a distinct but related field? 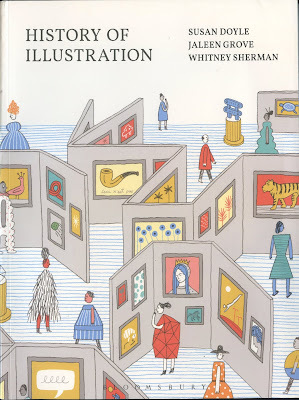 How does the book define Illustration? Does it separate out other Art for commission (e.g. Michelangelo)? Does it separate other Art as tool of story telling (e.g. Illuminated Manuscripts)? Most of all, I'd be interested if the historiography is one of "progress", where each new illustration movement is presented as an improvement upon the past movement? If not, what would you characterize as the overarching "plot"? One other question. I see that you are yourself a fine artist. Are the other authors coming from working illustration backgrounds, fine arts backgrounds, or academic art history backgrounds? Hi Richard, I'll post answers in multiple posts. 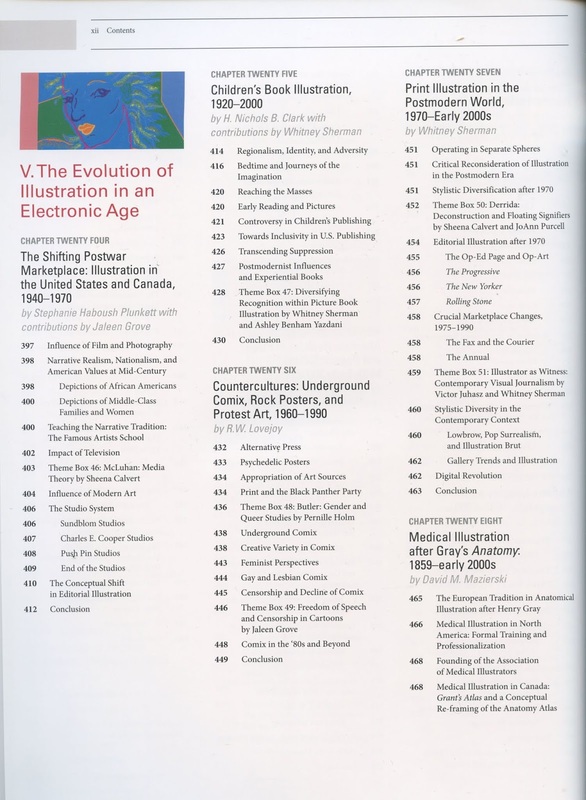 I see illustration history as having its own oral history and big names, as well as (in Euro-American circles) a distinct literature mainly written by English professors and book/print historians; and its own way of valuing and evaluating the works (actually two distinct streams: one of practitioners in popular culture, and one of bibliophiles). It is inextricable from the history of art due to so many so-called 'fine art' works being commissioned, describing a text, intended to promote something, and artists themselves doing both, etc etc. We address the crossover in the Introduction of the book (below), and while we do offer a provisional and very broad definition of illustration, but we leave it up to each writer of each chapter to define illustration further on their own terms for their own subject specialization - because the definition fluctuates over time and between cultures. So there is no one definition, which would be a fool's errand indeed. means “to shine light upon”—to enable understanding. originates meaning, just as writing does. the artfully crafted image itself. medium for the circulation of text. It was an unfortunate hallmark of high modernism to frame art (and European civilization) as "progress" - a now completely discounted approach. Of course technology builds upon the discoveries of the past, so there is change over time, which we track in detail. Is it progress? Well, if your aim was to perfect the color reproduction of color photographs in printmaking, then you could argue there was progress. Is a 4-color offset lithograph or multi-head inkjet giclee an improvement over a handcut Japanese print of1840 with 20 spot colors, metallic inks, and embossing? Obviously comparing apples and oranges is not viable. There are no claims of progress or superiority. There is only "that was then, this is now." Me: I have always identified and worked as a hybrid artist, illustrator, graphic designer, historian. 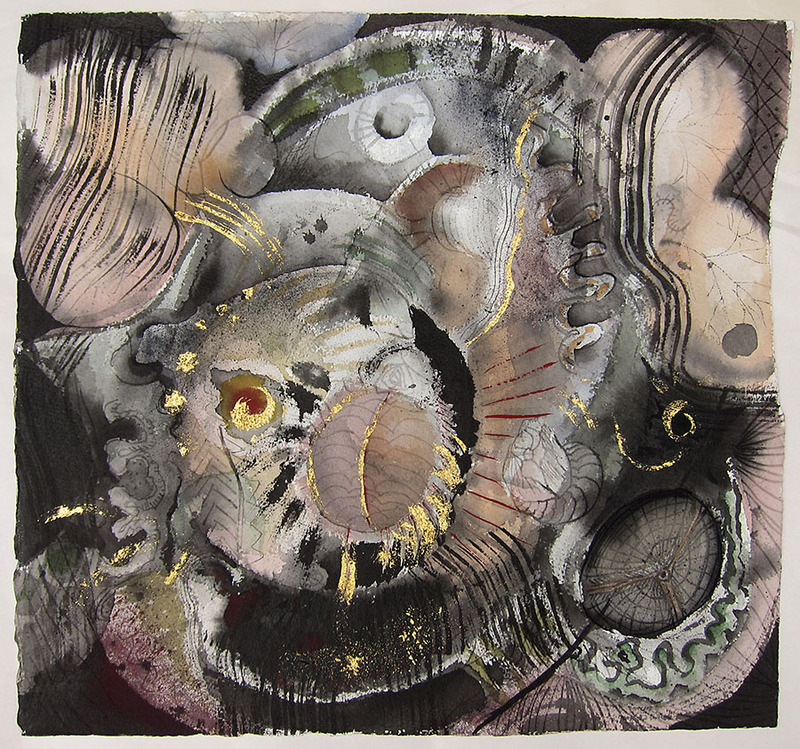 I was a freelance designer and illustrator while also pursuing gallery shows from 1990 to 2004, after which academic work forced me to suspend my art practice, except for the rare commission. As it happens, I have a creative work appearing in Communication Arts coming out in April. My website features logo designs, newsletter designs, artist books, illustration; my last fulltime employment job titles were Multimedia Developer and Senior Illustrator respectively - in house positions.... my last exhibition however was my abstract painting. I see on Amazon that even used copies go for more than $200. Is there a better place to buy? Looks great. Long overdue. I'm asking our library to get it. Great answers Jaleen. Thank you for taking the time to field my questions. Thanks for the tip on the paperback as well. Ken Meyer here...thanks, I am gonna search for this sucker!